The Battle of the Alamo (February 23 – March 6, 1836) was a pivotal event in the Texas Revolution. Following a 13-day siege, Mexican troops under President General Antonio López de Santa Anna launched an assault on the Alamo Mission near San Antonio de Béxar - now modern-day San Antonio, Texas. All but two of the Texian (a Texian is a anglo-american who emigrated to Texas) defenders were killed. President General Antonio López de Santa Anna's perceived cruelty during the battle inspired many Texians—both Texas settlers and adventurers from the United States—to join the Texian Army . Buoyed by a desire for revenge, the Texians defeated the Mexican Army at the Battle of San Jacinto, on April 21, 1836, ending the revolution. Several months previously, Texians had driven all Mexican troops out of Mexican Texas. There was approximately 100 Texians garrisoned at the Alamo at this point in time. However, the Texian force grew slightly with the arrival of reinforcements led by eventual Alamo co-commanders James Bowie and William B. Travis. On February 23, approximately 1,500 Mexican troops marched into San Antonio de Béxar as the first step in a campaign to re-take Texas. Unfortunately fewer than 100 reinforcements arrived. In the early morning hours of March 6, the Mexican Army began their advance on the Alamo. After repulsing two attacks, the Texians were unable to fend off a third attack. 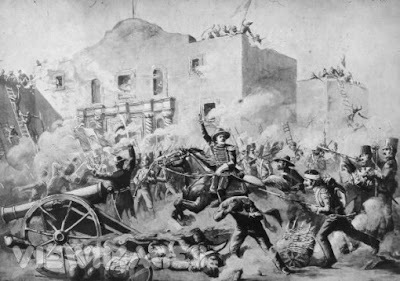 As Mexican soldiers scaled the walls, most of the Texian soldiers withdrew into interior buildings. Defenders unable to reach these points were slain by the Mexican cavalry as they attempted to escape. Between five and seven Texians may have surrendered; if so, they were quickly executed. Most eyewitness accounts reported between 182 and 257 Texians dead, while most historians of the Alamo agree that 400–600 Mexicans were killed or wounded. Several noncombatants were sent to Gonzales to spread word of the Texian defeat. 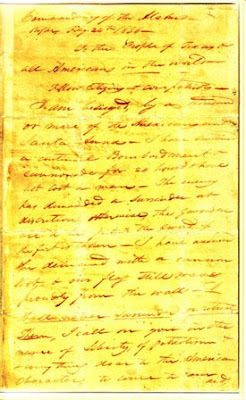 The news sparked a panic, known as "The Runaway Scrape", in which the Texian army, most settlers, and the new Republic of Texas government fled from the advancing Mexican Army. Within Mexico, the battle has often been overshadowed by events from the Mexican–American War of 1846–48. In 19th-century Texas, the Alamo complex gradually became known as a battle site rather than a former mission. The Texas Legislature purchased the land and buildings in the early part of the 20th century and designated the Alamo chapel as an official Texas State Shrine. The Alamo is now considered to be the most popular tourist site in Texas". 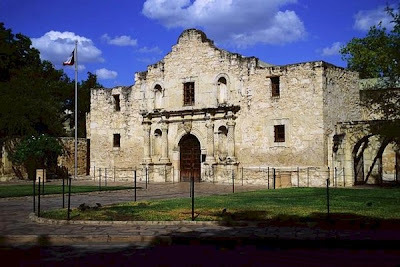 Films about this famous battle, such as John Wayne’s “The Alamo,” have taught us that Davy Crockett went down fighting and that everybody in the old mission was killed during the 13-day-long siege by the Mexicans. These films also depicted the men as sacrificial lambs who believed that their deaths were inevitable and unavoidable. In addition, some of these movies have also inferred that the long siege played a key role in the liberation of Texas because it allowed Sam Houston to raise an army that would eventually defeat the Mexicans. Unfortunately, most of these 'facts' are more myth than reality. For instance, the men defending the Alamo were not nobly suicidal. Though obviously valiant in their stand, they were actually fighting with the belief that reinforcements were on the way to help them defend the old mission. It also is false that there were no survivals. Although most of the Texians defending the Alamo on March 6, 1836 were killed, approximately 20 people did survive the siege, including women, children and a slave belonging to William B. Travis. In addition, a previously untranslated diary written by Jose Enrique de la Pena, senior Mexican officer at the battle revealed that Crockett and six other survivors had actually surrendered. According to this account, they were were executed afterwards by General Antonio Lopez de Santa Anna, and subsequently were found dead outside of the fort! 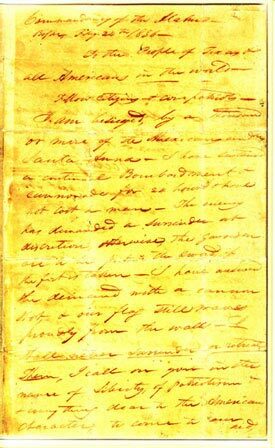 As for Sam Houston, he wasn’t rounding up troops, because he was actually serving as a delegate at a constitutional convention at the time the Alamo fell. In addition, there is one more fact that most of these films have managed to gloss over – the Alamo was not strictly a white Texan or Mexican fight. 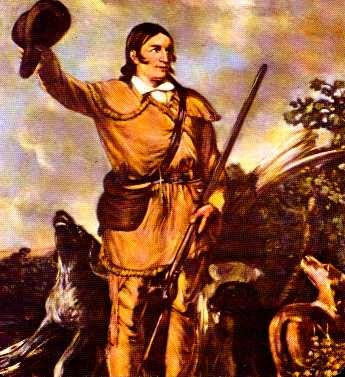 A third group, the Tejanos, who were Mexicans that lived in Texas, was also fighting alongside Davy Crockett and the others on that March day. So 'Remember the Alamo,' but try to remember the facts about it correctly next time. Good morning, with all due respect, someone could answer me this question? 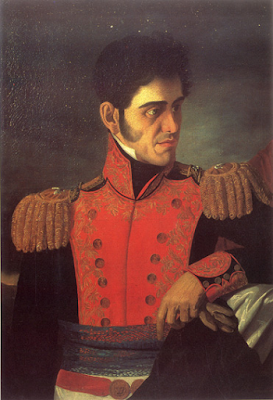 Since when Mr. Antonio Lopez de Santa Anna uniformaba with the coat of Brigadier (Rear Admiral) in the Royal Navy Spanish?